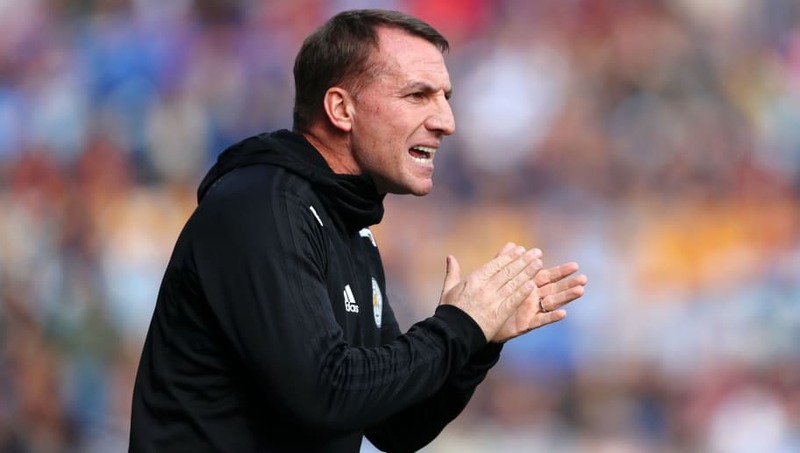 ​Leicester City manager Brendan Rodgers was elated by his side's impressive attacking display after they thrashed already relegated Huddersfield 4-1 at the John Smith's Stadium. The Foxes opened the scoring following a quiet opening 25 minutes when Youri Tielemans produced a clever finish from the edge of the box. Shortly after half time, Jamie Vardy doubled Leicester's lead after meeting a pinpoint cross from Ricardo Pereira. However, their lead was halved just four minutes later as Aaron Mooy converted a debatable penalty after Caglar Soyuncu's foul on Karlan Grant. It took until the final ten minutes for Rodgers' side to wrap the game up as a late free kick from James Maddison restored the two goal lead before Vardy earned and scored a penalty to make it 4-1. Not only are Leicester now leading the race to finish in seventh position, moving ahead of Wolves and Watford, the victory made it four wins in a row for the Foxes under Brendan Rodgers in the Premier League. Speaking to Sky Sports after the result, Brendan Rodgers hailed his side's creativity, organisation and hard work while giving a special mention to talisman Vardy, saying: "It was a very good attacking performance. When it gets to 2-1, we had to show a reaction and it was very, very good. It was always going to be a difficult game for us today with Huddersfield getting relegated and they wanted to have a reaction, of course. "I thought we played very well...The team worked ever so hard, they were creative and we scored four goals. We could have had one or two more with a better final pass. "[On Vardy] He's an incredible player. His journey is well documented but it has been interesting working with him because he's tactically very, very good. "He's such a threat in the game with his pace and how he can link the game up and he wants to score goals. There was a fantastic cross from Ricardo [Pereira] for his first and he puts the penalty away." Jamie Vardy has 6️⃣ goals in 5️⃣ games since Brendan Rodgers' arrival at Leicester. Vardy's brace saw him move onto 15 Premier League goals this season, joint sixth with Raheem Sterling in the race for the Golden Boot. He is now also sixth in Leicester's all-time scorers chart, having scored 104 goals for the club which saw him overtake Gary Lineker. Leicester's next match will see them face Newcastle on Friday, as they hope to continue their winning run under Rodgers and move closer to the spots that qualify for European competition next season.